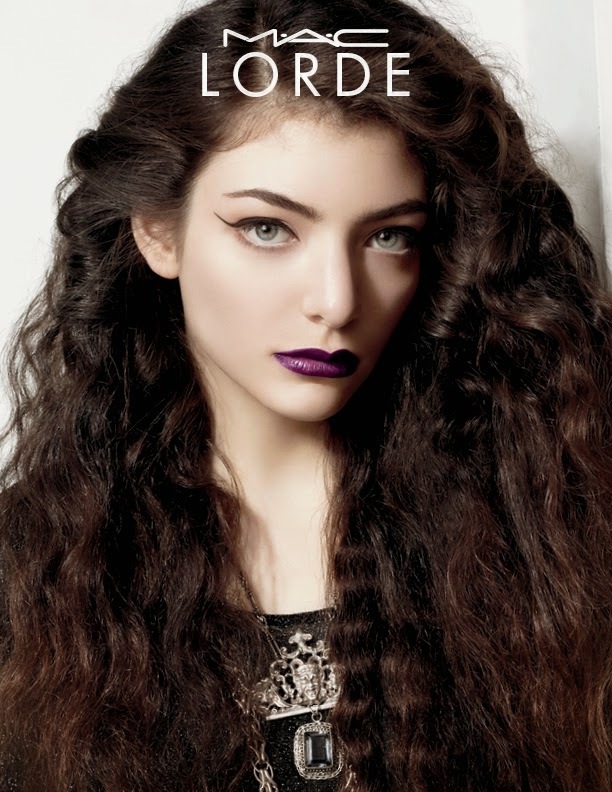 Landing June 27 is M.A.C Lorde, the one collaboration that we have all seen coming for months! It’s news that hasn’t come as a huge surprise to many give a) her unique beauty and b) her close relationship with the super talented Senior Artist Amber Dreadon, but that doesn’t dull how damn exciting it is that Lorde is collaborating on a limited edition collection for M.A.C, landing in just over a month. The New Zealand teen phenomenon’s collab will be sold at all authorized M.A.C locations throughout New Zealand, exclusively on MACcosmetics.com, and at select M.A.C Cosmetics stores globally from June 27, 2014. 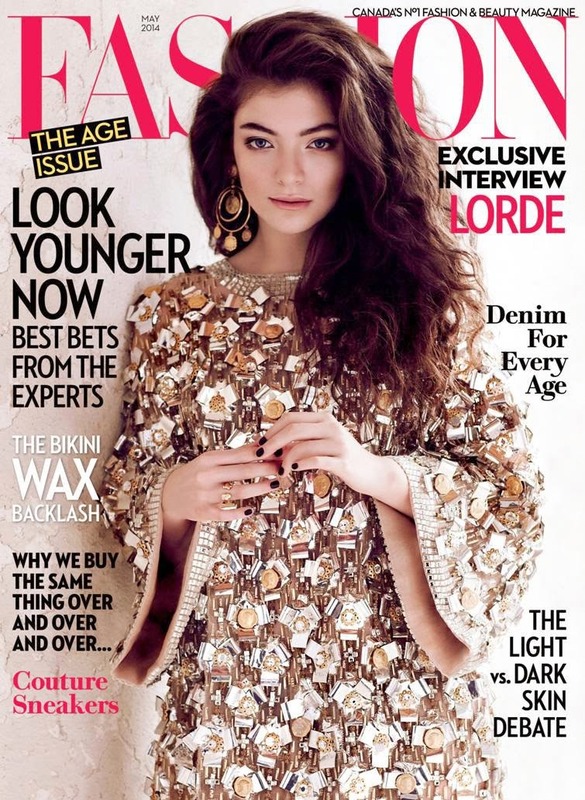 Lorde has been using the mega brand’s products for quite some time and working with them since 2013, so it was a natural fit. Her official statement was: "I have loved M.A.C Cosmetics since I was a little kid. I remember saving up to buy my very first M.A.C lipstick [Snob] at 14, and it was used by about 20 of my friends! M.A.C has a very clear aesthetic that has always felt fashion forward to me. So I was really excited to work with them on these products, which I use pretty much every day and night. I hope you will too." The two-piece collection is made up of Pure Heroine, the deep plum signature lip shade of pop’s coolest ingénue with an Amplified finish, and Penultimate Eye Liner RapidBlack in True Black, for the perfect graphic eye. 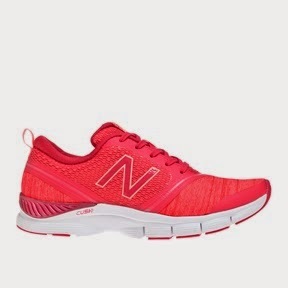 Love them both and want them now… start counting down the sleeps! 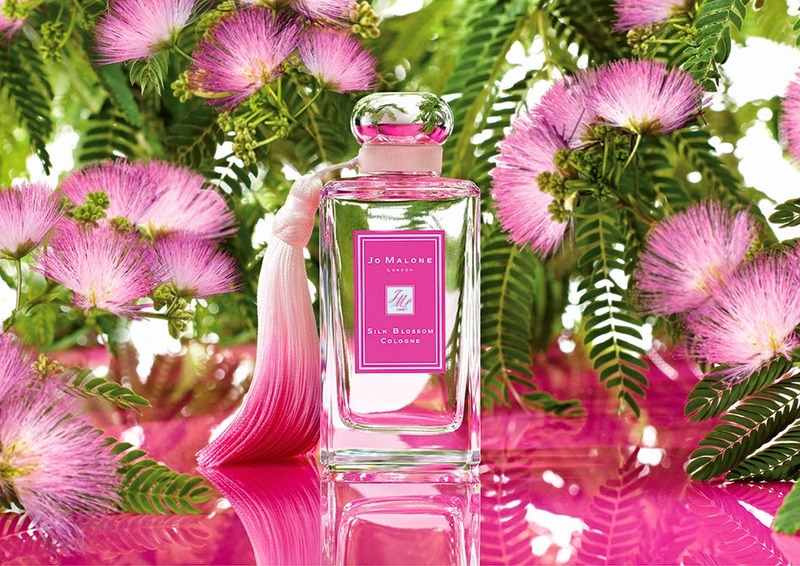 If the perfectly ombre'd pink tassesl around the neck of Jo Malone’s delicious new Silk Blossom cologne aren’t enough to get you as excited as I was when I first laid eyes on it, then the scent profile of this beautiful new release from the legendary fragrance house most definitely will. With its unusual blend of aromas creating a harmony of spices, gentle floral shades, fruit zests and soft moss, Silk Blossom is one of the most complex and beautiful modern fragrances I have smelled in a long while. To get all descriptive on you, the fragrance opens with a tart union of white pepper, bergamot and sweet apricots, announcing exotic silk blossom in the heart, surrounded with delicate jasmine and rose petals. The beauty of the floral notes is enhanced by the harmony of warm moss and vanilla-like, soft flavours of heliotrope in the base of the composition, providing a luxurious, pink tone. According to its creator Marie Salamagne, the accent relies on the flower as well as on silk wood to create a warm, enveloping atmosphere that works for day and well on into the night. In Jo Malone's wonderful world of fragrance combining, they suggest layering Silk Blossom with Orange Blossom for a bright, blooming fragrance, or Red Roses for a romantic, modern floral. Love the idea of both so bring it on! One of my all time ‘happy places’ is East Day Spa in Auckland - along with its sister spa Spring Spa in St. Heliers and Spring Spa in Queenstown, where I’ve had the pleasure of whiling away an afternoon several times and actually didn’t want to leave! All three do a fine line in both treatments and promotions, and are mostly definitely the place to be come Mother’s Day preparations and celebrations. I’m dropping another heavy hint to my nearest and dearest here as I just adore East Day Spa, who have put together some rather luxurious pamper packages this in the name of mamas everywhere. There are a few to choose from too, so there is definitely something there for even the most hard-to-buy-for mum! This year the packages are designed to spoil, relax and slow down the busiest mums and feature treatments using luxury brands Elemis, Aromatherapy Associates and REN Skincare. Founder Ina Bajaj says that Mother’s Day is a special day to salute, praise, and give thanks to all Mothers for their love and dedication. “Mums work tirelessly and always put everyone else first. East Day Spa treatments are the perfect gifts of a little peace, quiet and pampering, the perfect thank you for our deserving Mothers”. I for one could not agree more! The treatment starts in true relaxation style, feet up, enjoying a 15-minute Hydrating Rose pampering foot treatment before finishing with our 30-minute express facial. This skin-saver will repair and restore skin with REN skincare products, leaving her with an instant glow. Treat the Mum-to-be before the new addition arrives with a signature 'Mama massage'. This tailor-made treatment that focuses on and around the tummy is a blissful spa experience that alleviates common leg, hip and lower back pressures of pregnancy. The treatment incorporates a gentle tummy massage with the famed Elemis Japanese Camellia oil, the secret stretch-mark weapon that Victoria Beckham swears by! The expectant mum will enjoy also enjoy a nourishing milk bath treatment for her hair, to transform dry hair into soft, shiny locks. The perfect place to be sitting pretty next to Mum is at East Day Spa with the perfect duet of pedicures and piccolos. You’ll spend some time, side-by-side as they bathe and treat both your feet to a luxurious 30min Warm Milk & Sandalwood pedicure. To top off celebrations, you’ll both receive an elegant, individually gift boxed champagne piccolo of Moet & Chandon to enjoy. Indulge a deserving mum with this luxe spa package designed to gently restore balance to the body. Beginning with a soothing 15 minute East Foot Ritual, the journey of relaxation continues with a tension-melting 60-minute signature massage before finishing with her choice of a 15-minute Reflexology or Moroccan Oil scalp massage. Give the gift of a little peace, quiet and pampering with this facial experience, which starts with a glorious 15min East Foot Ritual, bathing, softening and pampering the feet. Next, a luxurious 75-minute treatment re-engergises the skin with powerful mineral ingredients and unique facial massage techniques that will leave her skin lifted, firm and glowing with health. A cult favourite scent that is sparkling and fresh, the exquisite Calyx has been called “energizing and audacious”, as well as “ideal for the fragrance connoisseur who appreciates the fresh distinction of this unique and highly acclaimed scent”. I say just go have a sniff - the scent is sheer beauty. 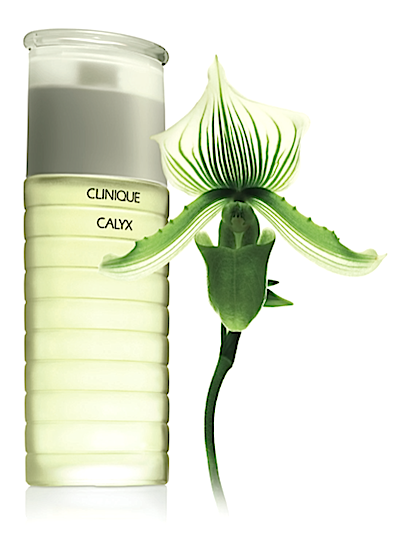 Calyx, which originally launched in 1986 under the beauty brand Prescriptives, transformed the fragrance industry at the time. There was nothing else out there like it. And ever since, its unique citrus scent entangled with a full bouquet of florals as well as fresh green notes have kept many captivated. However, when Prescriptives became strictly available online only, access to the scent was limited and its light began to dim, so it is amazing news that Clinique (an Estee Lauder sister brand to Prescriptives) is redebuting the fragrance—on their site and at their counters—with the same exact original notes, just with their logo now stamped on the bottle. Back in 1986 Sophia Grojsman developed Calyx and properly shook up the status quo with its lightness and greenery. It delivers a swift rush of citrus at first sniff and the floral notes that develop afterward are lush, fertile, green and exceptionally vivid. Come 2014 and it retains the same formula as it did in 1986, and somehow it still stands out from other fruity florals in the marketplace. Everything old is new again, and I for one couldn't be happier. And if you happen to not be familiar with the scent, simply knowing the true definition of the word 'calyx' gives a hint to its unique allure: "the sepals of a flower, typically forming a whorl that encloses the petals and forms a protective layer around a flower in bud." Gorgeous. 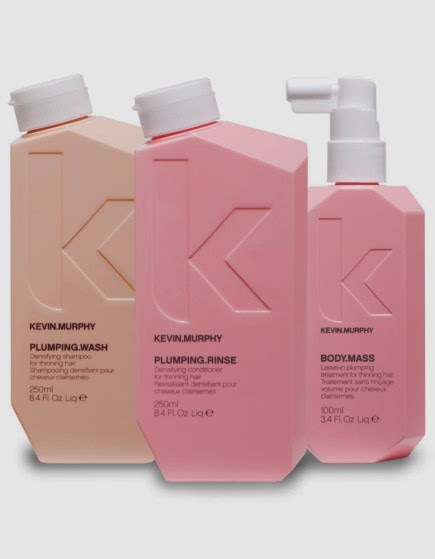 From the day it first hit the salons the Kevin Murphy haircare brand has always been about beautiful, big hair, and I have loved them long time for it. I’m one of the lucky ones who was born with thick hair - long may it last - so have used their Angel and Young.Again lines over the years, but was very excited to gift a friend their brand new PLUMPING.LINE when it landed on my desk a couple of weeks ago. The PLUMPING.LINE has been designed to create thicker, fuller hair, and my friend has been looking for exactly that for years now after her hair was damaged by colour treatments, iron overuse and general naughty hair habits, leading to severely thinning locks. Inspired by eyelash thickening technology, the new Kevin Murphy line helps prevent hair loss while strengthening and stimulating hair, making it feel thicker instantly - exactly what every woman wants. The range includes PLUMPING.WASH, PLUMPING.RINSE and the BODY.MASS treatment, each of which lengthen the growing (Anagen) phase of hair to lessen the falling or resting phase. The result is more Anagen hairs per head, delivering fuller, plumper locks. Plumping Wash is a thickening and densifying shampoo that uses the ingredient Ginger Root for its high levels of zinc, which counteract DHT levels and creates a growth accelerator while reducing hair loss. The likes of Shea Butter and Rice amino acids are then added to deliver moisture and protect against environmental damage and dryness. Last up, nettle extract is packed with Vitamin A and C, and its stimulating qualities also help increase microcirculation to the scalp. This amazing shampoo is thickening, exfoliating and a great hair-growth accelerator. The Plumping Rinse helps to nourish and restore, for thicker, stronger hair. Its key ingredients are Vitamin B, Rice protein and Rice amino acids. The Rice protein strengthens while providing abrasion resistance, and the amino acids help with hair repair. The last product in this range, and perhaps the most important, is Body Mass. A leave-in plumping treatment, it works to strengthenyour hair, making it appear fuller and thicker instantly. Key ingredients are Parsley extract, which contains concentrated levels of Apigenin (this helps promote blood flow to the scalp), and Lotus Flower Extract, to purify, rebalance and regenerate. After a couple of weeks’ use my friend has noticed an amazing difference in her hair, citing Body Mass as an absolute essential each and every time she washes. She says that the beautiful fragrance of all three products is a definite bonus, too. All round amazing really - if you’re thinning on top then this comes highly recommended, and the pretty pink packaging gets an extra thumbs up in my books too! 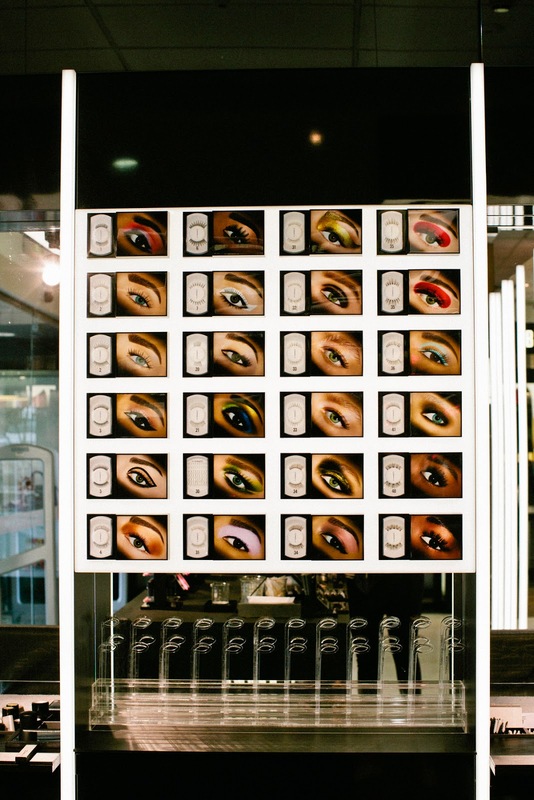 As well as launching a much-awaited 30-minute express makeup service of late, the always-amazing M.A.C also recently unveiled New Zealand’s first Lash Bar - and what a bar it is! Situated within Smith & Caughey’s Newmarket’s just-refurbished M.A.C counter, the Lash Bar is one of the coolest and niftiest beauty set ups I have seen in a while. You can see the entire M.A.C lash collection (which is impressive, seriously) on an amazing navigation panel, as well as access the range of very clever ‘lash wands’ that let you hold up each and every lash to your own eye to find the perfect match - genius! When you’ve made your choice you can work one-on-one with a M.A.C artist to transform your peepers with a complimentary lash application. Options include 14 different lash ‘styles’ to choose from, as well as individual lashes for the ultimate beauty customisation, half lashes for a more natural ‘daytime’ look and full lashes for those that like to see a total transformation. I have always viewed faux lashes as the ultimate beauty pick me up, almost like a killer stiletto for the eye - taking glamour levels through the roof. M.A.C make the best that I have tried, and at just $26.00 a pair are a very affordable indulgence (especially when you consider that with care, they can last three to six wears). If you love a lash as much as I do then I highly recommend a trip into the new M.A.C Lash Bar, one of the coolest new beauty destinations I’ve hit in a long time. Room Nine’s Amelia Story calls herself a “Progressive Skin Specialist”, and her approach to keeping skin looking its optimum best is one of the most enthusiastic I’ve ever come across. This woman truly lights up when she talks about skincare and its possibilities to transform and heal, and her current area of specification demonstrates her warmth and compassion beyond belief. That area is caring for the skin of women preparing for, going through or recovering from a cancer battle, and as a cancer survivor myself I find her passion and commitment so inspiring. She recently began following the work of Mórag Currin, the author of “Oncology Esthetics: A Practitioner’s Guide” and veteran of 17 years of aesthetic, product development and training experience. She has been educating aestheticians on clinical Oncology Esthetics throughout North America since 2008, and is a sought-after speaker, both nationally and internationally. 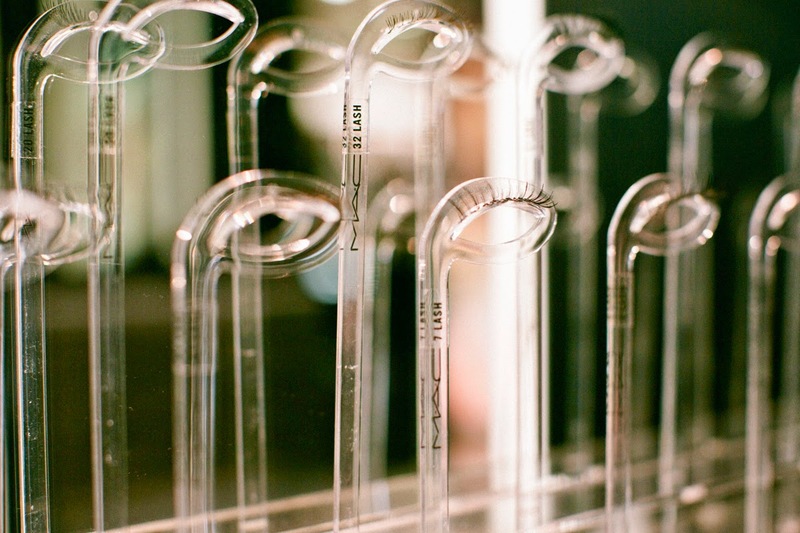 Oncology Esthetics focuses on the individual who needs a gentle, safe, light touch and approach to skin care treatments that assists in easing the discomfort that the body - including the skin - endures due to cancer therapy. Health challenges, medications and the side effects of cancer therapy as well as our environment can cause irritation, dryness, and fragility of the skin, and it’s all about bespoke treatments to help soothe, hydrate balance and calm the skin. Balanced happy skin, deep relaxation, tension and stress that melts away... a much-needed escape at a much-needed time during an individual's journey and recovery. It also lead to her changing her skincare option to Osmosis, “because it really gives me the support I need when dealing with skin going through all manner of changes. It is great for anti-ageing and keeping your skin looking it’s best, but is also brilliant for customising and supporting troubled skin.” After twelve years experience in the beauty industry in New Zealand and internationally she’s tried a lot of brands, but in her Grey Lynn clinic she can’t get enough of what the US-based skincare range has to offer. After experiencing time - and an infusion - with Amelia I can honestly say that Room Nine has shot straight into my list of beauty destinations that come (extremely!) highly recommended. If you’re in need visit www.roomnine.co.nz and make an appointment - I promise you won’t be disappointed. Beauty giant Elizabeth Arden claims that their new Ceramide Boosting 5-Minute Facial will let you “achieve a spa-facial glow at home in two simple steps,” which is no small claim. If it’s true then this puppy will fair fly off the counters and out the doors, and internationally it’s done just that! The latest addition to the company’s range of Ceramide “youth-restoring” skincare products, it is one of those products that could blind you with science if you read too far into the ingredients list but is refreshingly simple to use. It is essentially a two-step, bi-weekly system that includes a luxurious-to-use Self-Foaming Mask and Replenishing Serum. The two high performance products work in harmony to treat and pamper the skin for a brighter, more even appearance and the pair is designed to be used 1-2 times per week for the ultimate result. Step one is the Self-Foaming Mask, which glides on like a dream and after just seconds starts to foam and - on some skins - tingle a little. This means that it’s activating chemical and enzymatic exfoliators to gently cleanse as well as a purifying system to help detoxify surface impurities and promote skin cell turnover. After the mask is fully activated (around two short minutes), rinse it off with lukewarm water and gently pat dry. Skin is left cleansed and primed for the next step, which is the silky serum designed to deliver Arden’s Ceramide Triple Complex (a combination of Ceramides 1, 3 and 6) deep into skin’s surface. A skin-identical, replenishing lipid complex, it helps reinforce your skin’s protective barrier, plumping up the moisture factor and giving it a smoother texture as it soothes sensitive skin. It also includes Retinyl Linoleate and Tropical Fruit Extracts to help firm, strengthen and re-texturise the skin’s appearance, whilst soothers like Aloe Vera and Rice Kefiran have been thoughtfully added to calm any sensitive types down. ‘Optical Diffusers’ are yet another bonus -a blend of mica, silicone, silica and pearlescent pigments that provide a soft focus effect, blurring fine lines and wrinkles. Love that! Elizabeth Arden Ceramide Boosting 5-Minute Facial kit is housed in two sleek, cylindrical airless pump components and has an RRP of $165.00. Oh and best yet? It’s available right now! It feels like almost every other day that the world’s beauty brands are signing up new spokesmodels, with many a savvy decision being made. Maybelline New York is a brand up there in the top five when it comes to most killer stables, and the beauty mega brand announced today that model Marloes Horst is their newest face. The Dutch model joins a roster of prominent spokeswomen including Christy Turlington, Emily DiDonato and a host of others. “Marloes embodies the Maybelline New York woman with her passion for makeup and her New York City energy and ambition,” says Jerome Bruhat, Global Brand President of Maybelline New York. The Dutch model has lit up the runway for Prada, bared her best bits for the infamous Pirelli calendar and is a Victoria’s Secret regular. Currently, she is the face for the DKNY ‘Be Delicious’ fragrance and has also recently posed for the Sports Illustrated 50th Anniversary issue. Marloes has also been featured on the covers of iconic magazines such as Vogue, Harper’s Bazaar, Elle, L’Officiel and Jalouse and has been seen in advertising campaigns for Calvin Klein, Stella McCartney, Carolina Herrera, H&M, Valentino, Ralph Lauren, DKNY, Tommy Hilfiger Denim, and Kenzo. Well done MNY, and can’t wait to see the end result when Marloes makes her Maybelline New York debut in print and television advertising campaigns later this month. Every year at MBFWA I look forward to the We Are Handsome swim show. You can pretty much guarantee that you’ll see the cutest suits, the hottest bods and - most importantly - the best tans. The label has had an association with faux tan specialists St Tropez for a few years now and it shows, with models sporting the perfect glow for their individual skintone. “We wanted to have fun with the makeup,” said Maybelline’s Nigel Stanislaus of the popping colour look on the model’s faces, which was reportedly inspired by the tropical prints in We Are Handsome’s resort-ready collection. Stanislaus looked back to the colours of 1950s and ‘60s – and makeup of stars such as Grace Kelly, Elizabeth Taylor and Sophia Loren - to come up with three coloured eye looks, and lips got the colour treatment too in a shade of coral, orange or pink. KMS Hairplay Dry Touch Up gave hair a matte effect rather than the wet-look hair so popular at the moment, and the overall effect was killer. 1. It's crucial to prep the skin, especially in a show like this - it's swimwear - there is nothing to hide behind, so the skin needs to be perfect. The models have all been sent the 'St.Tropez Tanning Commandments' before the show, so today we just needed to use the St.Tropez Tan Enhancing Moisturiser on the dry areas of the body like the elbows, feet, hands and of course the knees. 2. St.Tropez is all about customising your colour and so the Instant Tan in Light/Medium and Medium/Dark are perfect for layering and tailoring shades. For the lighter models we used the Medium/Dark to bring up their overall colour, and for the girls and guys with a natural base colour and more olive tones we used the Light/Medium Instant Tan. 3. 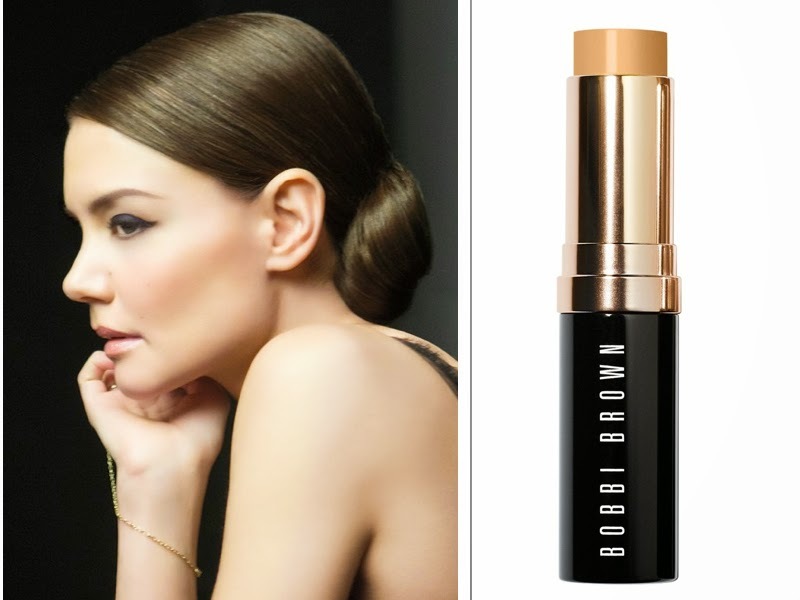 To even out the skin while adding a little extra warmth and healthy glow we finished with St.Tropez Illuminator in Gold. I used this to highlight, define and sculpt the bodies - following the lines of the muscles to create definition and shape. The show was outside so the Gold Illuminator also worked perfectly to catch the light. It’s hitting New Zealand shores a while after its release in the States, but Essie’s Fall collection is well worth the wait and simply delicious. There are a number of beautiful shades on show but my absolute favourite is Cashmere Bathrobe (pictured), which is a dark grey with a pretty silver shimmer that I didn’t pick up on at first. The shimmer is a touch on the hidden side, I could see it indoors and in the shade but it wasn't as in your face as many, which gets the ticks from me. 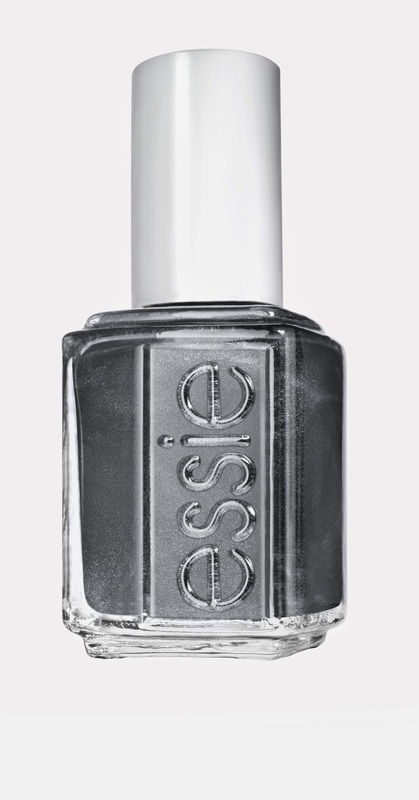 Like all of the Essie shades I’ve tried the formula has a nice even consistency and the opacity was great. Vested Interest is my next pick, a dusty green crème that is perfectly greyed out for lovers of warm, unique neutrals like me. 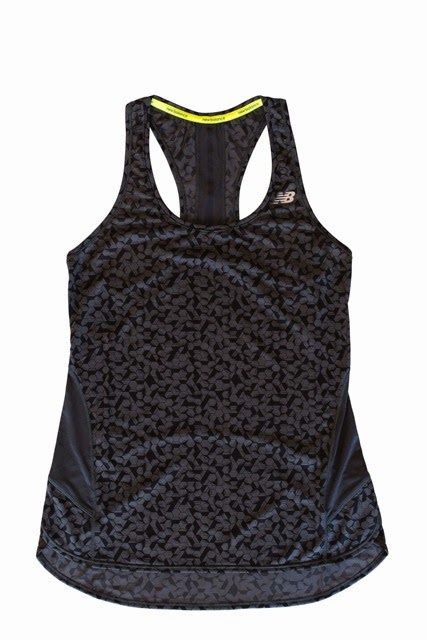 It too is a perfect pick for Autumn and in store now - so what are you waiting for? The darling of the Oscars, the red carpet and the international front row, it was only a matter of time before someone swooped in and signed up Academy award winning actress Lupita Nyong’o as its brand new face, and that clever company was iconic French beauty house Lancôme. The Mexican-born, Kenyan actress is a multi-talented star as well, having performed on stage and screen as well as having directed the award-winning feature-length documentary, In My Genes, about the reality of living with albinism in Kenya. "I am truly honoured to join the Maison Lancôme, a brand with such a prestigious history and that I have always loved. I am particularly proud to represent its unique vision for women and the idea that beauty should not be dictated, but should instead be an expression of a woman's freedom to be herself,” said Nyong’o, who is joining Julia Roberts, Kate Winslet, Penélope Cruz and the recently appointed Lily Collins in the brand’s stable of international beauties. She will be seen later this year in campaigns shot by star photographers Mert Alas and Marcus Piggott, and I for one can’t wait to see what the trio dream up! 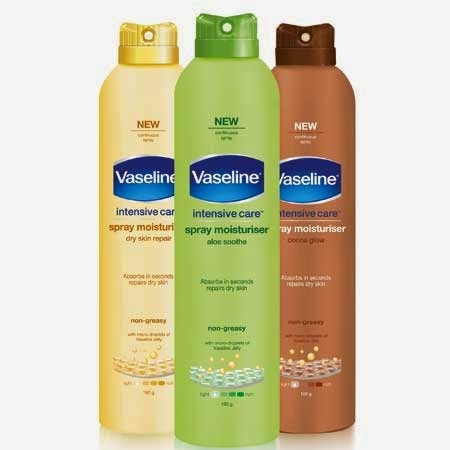 I first read about Vaseline’s Spray Moisturiser back in 2013, when Allure magazine named it in their Best of Beauty 2013 awards as one of THE Breakthrough Products for the year. It’s taken its sweet time making its way down here, so I was dying to know if it lived up to hype… The answer? Yep, and then some! The world can’t seem to get enough of the innovative new spray and go concept with good reason. After stepping out of the shower and drying off you just hold the can approximately 10cm from your body and press down on the nozzle. It sprays a constant mist of moisturiser that is lighter, easier and faster to rub in than a traditional lotion or cream and yep, you can get dressed almost immediately. The nozzle has a 360 degree spray, too, so you can even hydrate those hard-to-reach areas like your back. 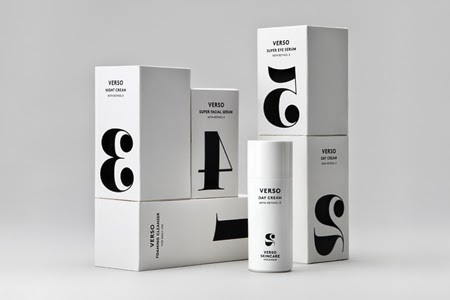 This new way to moisturise comes in three different variants, which deliver a continuous, non-sticky mist containing the ultimate humectant, glycerin, onto skin with the help of compressed air rather than drying alcohol-based propellants (i.e., the stuff that makes most sprays spray). Total Moisture has a subtle scent and oat extract to nourish dry and sensitive skin, Aloe Fresh is lighter and slightly cooling due to the pure aloe and Cocoa Glow has a stronger scent because of the cocoa butter that gives a more intense hit of hydration. It really is the ultimate lazy girl's body lotion. You can mist your entire body in ten seconds (seriously), do a half-assed job rubbing it in, and feel ready to go in another ten. Just be careful to spray directly onto your skin to avoid slippery bathroom tiles - I learnt the hard way! These babies are in store now with an RRP of $10.99... i.e. a TOTAL steal. For a few years now I’ve been regularly spending time with Rosanna Marks, the principal therapist at Aroha Healing, which she opened at the West Lynn end of Richmond Road back in 2008. 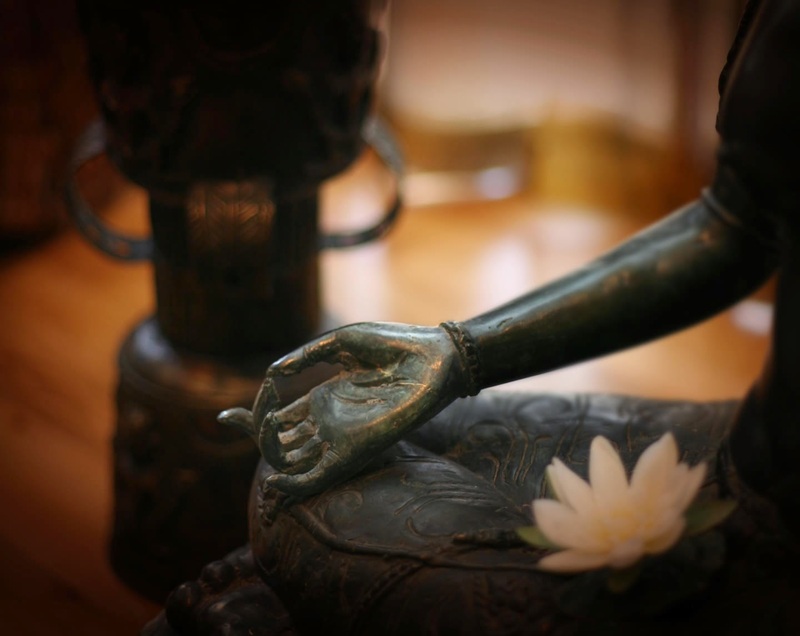 In August 2012 she moved to a new location that she describes as “pure heaven”, at the top of Maidstone Street by Great North Road, where she practices numerous amazing healing modalities alongside traditional beauty therapy, as well as planning and holding retreats around the areas of Reiki, massage and the Sacred Feminine. A “facilitator of transformational processes” working as a holistic therapist, Reiki master, belly dancer and advanced teacher of ancient philosophies, Rosanna practices the likes of mirimiri (traditional Maori massage), Hawaiian Ka Huna bodywork, Egyptian undulating heart breath, chakra balancing, kundalini massage techniques and organic facial therapy (with French skincare range Phyt’s), as well as Aroha Healing, which is a true fusion of her work. Internationally trained in many indigenous healing modalities, the vivacious therapist uses a fusion of ancient traditional practice combined with a modern twist. 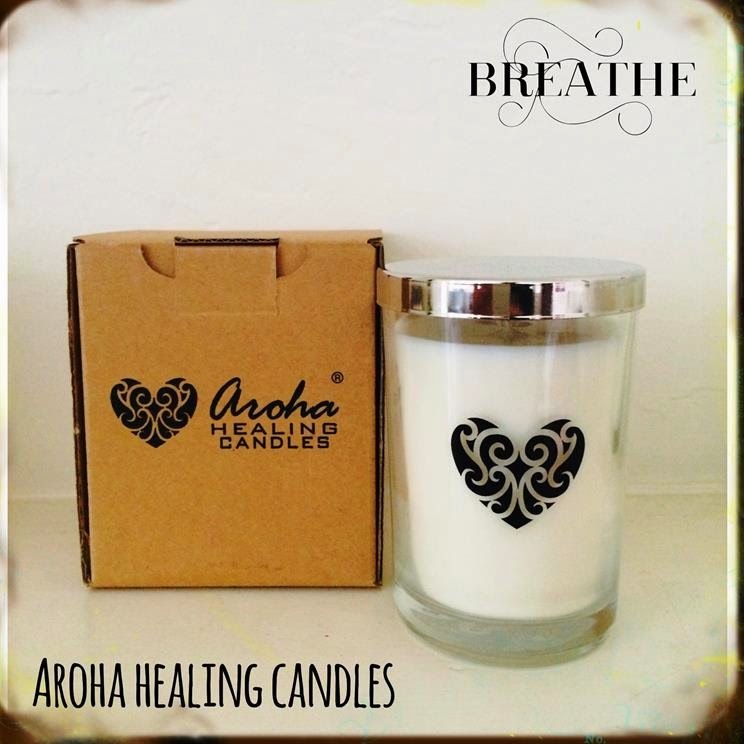 On top of all of this she and her partner Ben also create a beautiful range of hand-poured candles under the Aroha Healing moniker. New additions arrive seasonally, and the Aroha Healing Candle for this season is the Huhuatanga (Abundance) Candle. Huhuatanga celebrates Autumn Abundance in many forms and Rosanna says that this “magical candle is most fitting for manifesting all that is positive and good”. It is made using the most delicious oil blend that includes delicate nectarine, jasmine, honey and vanilla, infused with Kowhai tree leaves and links to all chakras. So beautiful, so abundant - and so perfect for right now! I am all about CC creams, their colour-correcting properties mean we can lay low on the coverage but still create an even, close-to-perfected complexion when and where we want. What’s not to love? 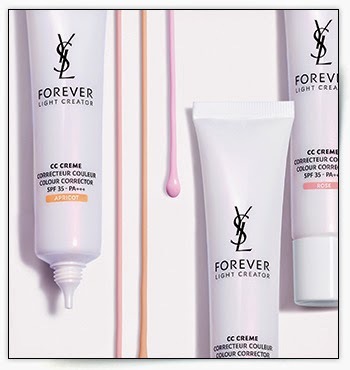 The latest YSL release - CC Crème Forever Light Creator - offers just that, with a beautiful formula that aims to instantly act on colour irregularities, from redness to dark spots and other imperfections, and also work deep down to correct the skin in the long-run too. Most of us have a few imperfections that we need help with, whether they are pores, blemishes or uneven tone - this is where a CC comes in. While you can layer up the foundation, sometimes this looks worse than when you started. CC crème doesn't do that much in terms of coverage, but instead aims to correct the problem and help to promote a more flawless complexion. Anyway, the newie from Yves Saint Laurent - which must be the chic-est CC Crème on the block, seriously - also works on the skin to visibly improve the skin in just one week, providing a boost of hydration and that 'lit from within' glow we all crave while it does its stuff. It’s part of the Forever Light Creator line, which consists of products based on the exclusive Glycanactif WT complex. This was developed around glycobiology, the area of biology linked to sugar chains or glycans, to create a formula capable of correcting skin pigmentation flaws while brightening the complexion. In short, the luxury beauty brand aims to give every woman the possibility of a flawless complexion. According to Yves Saint Laurent, long-term use of the product results in smoother, brighter and more even skin tone and a reduction in shadowed areas and dark spots, which gets claps all round. It also hydrates and gives SPF 35 protection, and comes in three tones. 'Rose' is best for bringing our pink tones in dull tired skin, 'Apricot' gives skin a golden glow and corrects uneven tones, while 'Lavender' neutralises yellow tones. In practice, the light texture is definitely a breeze to apply and a little goes a long way - just apply a small amount on to moisturised skin and blend with fingers or a brush. I then follow with a light base to ensure skin is prepped to perfection - et voilà! Job done! I love this stuff, and it’s on counter in New Zealand from April 21.